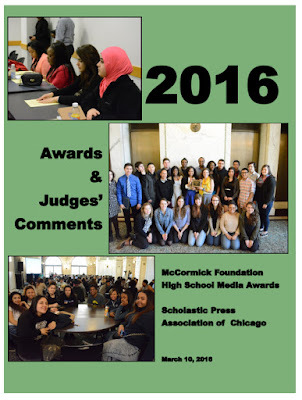 On March 10, 2016, the Scholastic Press Association of Chicago (SPAC) hosted its 24th annual High School Journalism Conference at Roosevelt University’s Gage Building, and the Robert R. McCormick Foundation High School Media Awards at the Chicago Cultural Center. 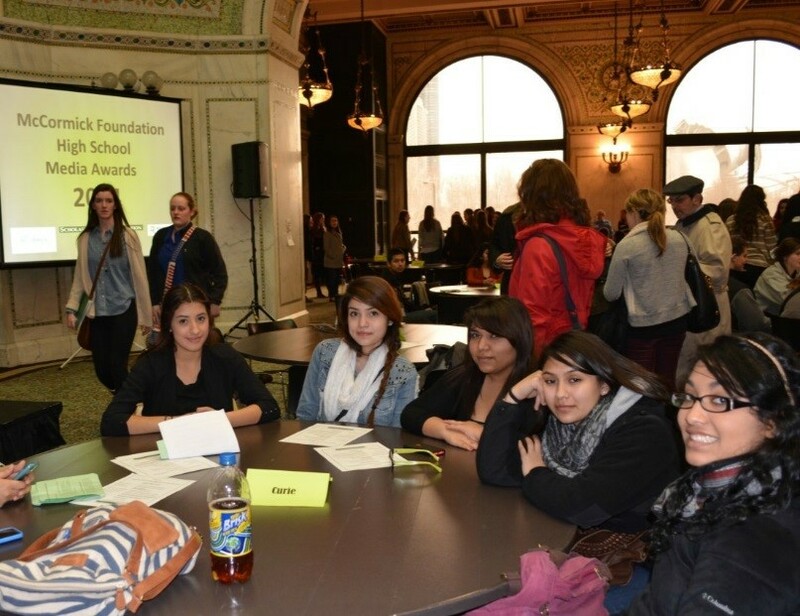 This is Chicago’s largest high school journalism event. SPAC supports high school journalists and their advisers through the provision of workshops, scholarship and professional development and curricular resources throughout the year. With the continued challenges of looming school budget cuts, this conference and awards ceremony celebrates and highlights the ongoing commitment of students, teachers and administrators who work hard to champion the critical role of student voice in healthy and happy schools. The event attracts more than 230 high school journalism students and 15 teachers and advisers from 10 Chicago-area high schools every year. In the morning, the conference offers three tracks of workshops (each track features up to ten concurrent session options to choose from, taught by more than 25 volunteer professional journalist and faculty presenters) for journalism students to learn more about their craft, including topics such as mobile journalism, investigative journalism techniques and design. The awards ceremony highlights 25 categories of journalism, and recognizes a Chicago high school principal as “principal of the year” for his/her outstanding support for student journalism and media. At the ceremony, two McCormick fellowships of $1,000 are additionally awarded to one student and one faculty member to attend summer workshops for each recipient. Congratulations to SPAC and all the 2016 winners! Media Award winners and their work! Free speech and the right to peaceful protest are foundational to democratic governance. They were both celebrated and challenged last Friday at venues blocks away from one another on the campus of the University of Illinois at Chicago (UIC). At the UIC Forum, members of the Illinois Civic Mission Coalition (ICMC) gathered to celebrate the #CivicsIsBack campaign. This included recognizing ten new Illinois Democracy Schools, passage of a new high school civics course requirement, and approval of civics-friendly state social studies standards. The event was punctuated by a bi-partisan ceremony where students, civic learning advocates, bill sponsor Senator Tom Cullerton (D-Villa Park) and Republican Governor Bruce Rauner shared the stage, the latter two offering congratulatory remarks for the ICMC’s recent achievements. The new civics course requires class discussions of current and controversial issues, among the most promising means of fostering students’ civic development. Elections are perennially “teachable moments,” and attendees leaving the ICMC were presented with a lesson on the highs and lows of democratic discourse blocks away at and around the UIC Pavilion where Republican presidential frontrunner Donald Trump planned to rally his supporters. In what has now become national news, the rally was aborted as protestors demonstrated against Trump and the many controversial and deeply offensive statements he has made during his nine-month campaign. They infiltrated the event itself and planned to both verbally and physically disrupt Trump’s speech. It was canceled by the candidate, who later said he wanted to spare the city of the political violence it is famous for harkening back to the 1968 Democratic National Convention. In the aftermath, the protesters declared victory, but it’s arguably a hollow one. Free speech should be celebrated, but we must confer the same rights to those with whom we disagree vehemently. The Trump candidacy will undoubtedly continue to inspire his true believers and further embolden his opponents. All parties are encouraged to campaign vigorously, yet respectfully, in the spirit of democracy and the First Amendment, and then vote our consciences for the candidates of our choice.